In the Street Fighter series, Sakura has always wanted to prove herself to her hero Ryu. In Street Fighter V: Arcade Edition, the bar appears to have been raised. Note: If you haven’t played through Sakura’s story mode, beware because there are spoilers below! 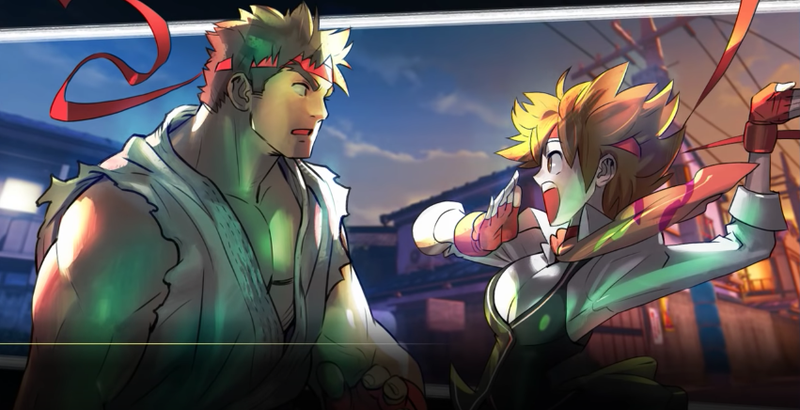 By Street Fighter IV, Sakura had a crush on Ryu, but now in Street Fighter V: Arcade Edition, the recent high-school grad seems ponders the bigger things in life and appears to want more from Ryu. She doesn’t explicitly say she wants to have Ryu’s child, but Sakura talks about how everyone gets old and dies. Ryu says he’s busy and cannot take on a disciple. Having children. Our lives. That’s not very subtle! Of course, what Sakura is saying seems to go over Ryu’s head, and he replies, “I see... I’ve never thought of it. But, that is another type of strength.” Sakura thanks him, and she then says this was what she was looking for. So, yeah, this is now canon! Street Fighter fan fiction community has enough fodder for an eternity.